To celebrate, head over to Xbox.com for details on how you can win one of the VERY limited edition Tenth Anniversary consoles* and pick up your free copy of Wreckateer. Plus members can save 50% on Castle Crashers, Battlefeld 1943, Fruit Ninja Kinect, Geometry Wars: Retro Evolved, Bastion, Peggle and Full House Poker. Don’t forget to download the free Gamer picture Your local Xbox.com may also have additional promotions for the anniversary, so be sure to sign in with your account and see what’s up. Nice one Neato, typical that they give us a bloody Kinect game for free instead of something good! Since Microsoft launched the Gamerscore system, gamers have earned over 270 billion achievement points and unlocked a whopping 4.5 billion achievements. 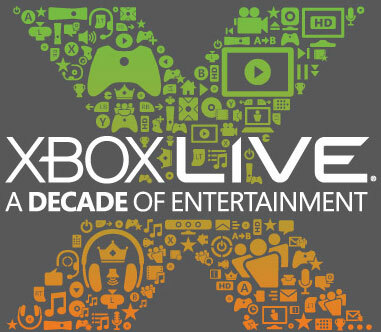 That’s according to Microsoft, currently celebrating the 10th birthday of Xbox Live. The platform holder also notes that since Live began in 2002, over 122,265.266 friendships have been made. Friendships seems like a strong word for adding randoms dudes you met online playing FIFA, doesn’t it? Anyway, while Microsoft hands out 10th birthday Xbox consoles to select, long-serving Xbox Live subscribers in the US, Europeans are getting... a helmet. 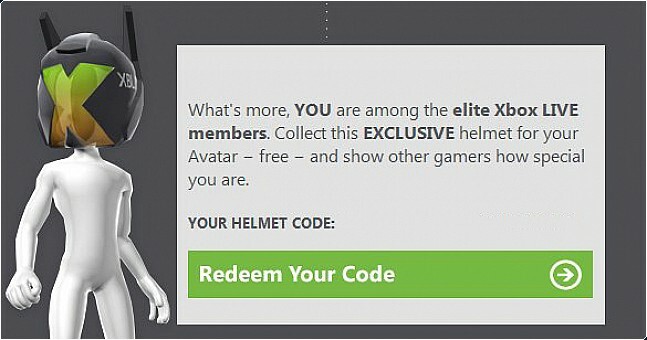 Yup, anniversary branded avatar helmets have been unlocking for some European users, though the exact requirements to earn it have not been revealed yet. Go on Europe, show other gamers how special you are. I know it's all for free but a helmet doesn't really compare to a console or 12month subs!